As a novelist, I draw on many real life experiences to provide background for my books. After completing studies in Literature and History at Occidental College, I became a staffwriter on a travel magazine, and throughout my career I have traveled extensively all over the world. Because I love horses, I owned and trained them. I support horse rescue and wild mustang preservation. 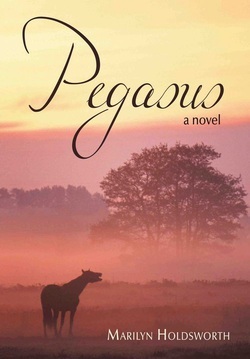 Based on my experience with horses and my research on abuse issues, I wrote Pegasus. As a descendant of James Monroe, I did extensive research at the James Monroe Museum in Virginia about him and his wife Elizabeth Kortright Monroe. I also visited their home, Ashlawn/Highland in Albemarle County. This resulted in my novel, The Beautiful American. 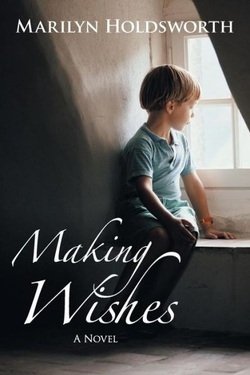 Making Wishes, was based partly on my experiences as creator, owner and operator of a greeting card company. My books are published by AuthorHouse and sold worldwide by Amazon, Barnes&Noble and major bookstores as hardcover, paperback or ebooks. Widowed at thirty, Hannah Bradley is a successful journalist focusing on animal abuse issues. An accidental meeting introduces her to lawyer, Winston Caughfield III. Drawn to Hannah’s gentle beauty and fierce commitment to her work, Win joins her in a fight to save wild mustangs from slaughter. Together they rescue a badly injured horse with a mysterious background. Hannah’s search to discover the animal’s true identity leads them into a web of black marketeering and international intrigue. Action packed with crisp colorful dialogue the story propels the reader to a race against time conclusion. Marilyn Holdsworth delivers a gripping tale of mystery, adventure and romance guaranteed to hold the interest and capture the heart. She brings true-life characters together with real-life issues to create a fast-paced irresistible story. 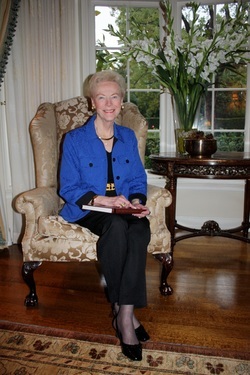 Abby Long is thrilled when she offers the winning bid for an antique desk at an auction. With its intricately inlaid woods and elegant style, the desk is perfect for Abby. When Abby discovers a hidden diary stuffed inside a secret compartment in the desk, she can hardly wait to read the spidery, faded script. As she carefully turns the tattered pages, she reads the captivating story of two remarkable women from opposite backgrounds who somehow manage to form an unforgettable bond against the backdrop of a fledgling America struggling to find its place in the world. 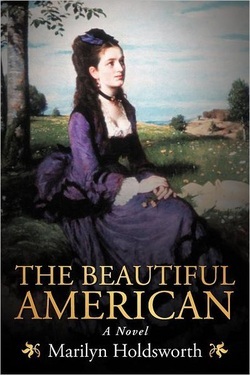 Elizabeth Kortright Monroe, the wife of James Monroe, and Jasmine, a young slave girl, develop an extraordinary relationship as they are united by pivotal historic events, political intrigues, and personal tragedies. From a bucolic Virginia plantation to the bloodied, starving streets of post-revolutionary Paris, this powerful tale follows the lives of two courageous women from the past as they quietly influence-and inspire-a woman of today's world. Elloree Prince is an attractive, creative young woman who marries wealthy businessman, Tom Randall. After courting his bride with unrelenting determination, Tom moves her into old-moneyed Oak View where generations of Randall's have lived for years. Outwardly Elloree appears to settle into raising their two sons within Oak View's stifling social structure but inwardly she yearns for her artistic work. An unexpected phone call from Mark Williams, her former employer offers her the career opportunity of a lifetime and she must make a choice. She is torn between her devotion to her sons and her love for her work. Her decision to return to Wishes Inc. brings dramatic life changes to her and the ones she loves.